Andrew T. Doughty, CFP®, joined Northeast Planning Associates in 2013 after five years supporting successful financial advisors in Massachusetts and Florida. He brings great knowledge and a thorough understanding of both the financial services industry and the challenges advisors face. 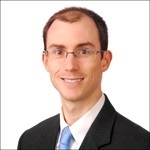 Andrew provides technical support and financial planning services to the firm. Prior to joining NPA, Andrew served as a paraplanner to a large Ameriprise Financial office in Orlando, FL, where he provided day-to-day service to the practice’s top clients, while also driving the investment due diligence process, wholesaler interaction and financial planning support. He started his career in the financial services industry as an analyst with an independent financial planning firm in Massachusetts. He earned his BA in Finance from Gordon College in Wenham, MA. Andrew resides in Concord, NH with his wife, Chelsea, and their rescued dachshund, Penny.